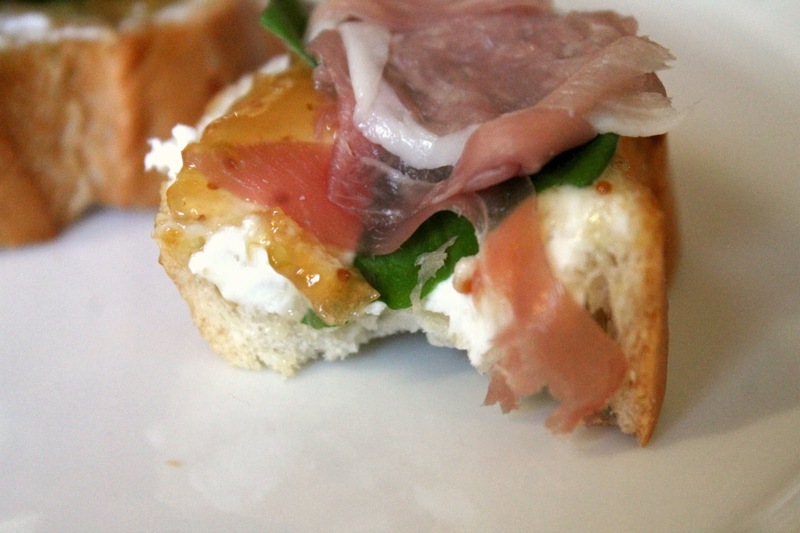 A couple of weeks after I had my baby last year, my friend Kylie came over with ingredients to make what has become a favorite snack in our house: crostini layered with goat cheese, fig jam, basil, and prosciutto. Aside from being delicious (the tangy-salty-sweet combo is insane), these little crostini look pretty for a party and couldn't be easier to make. 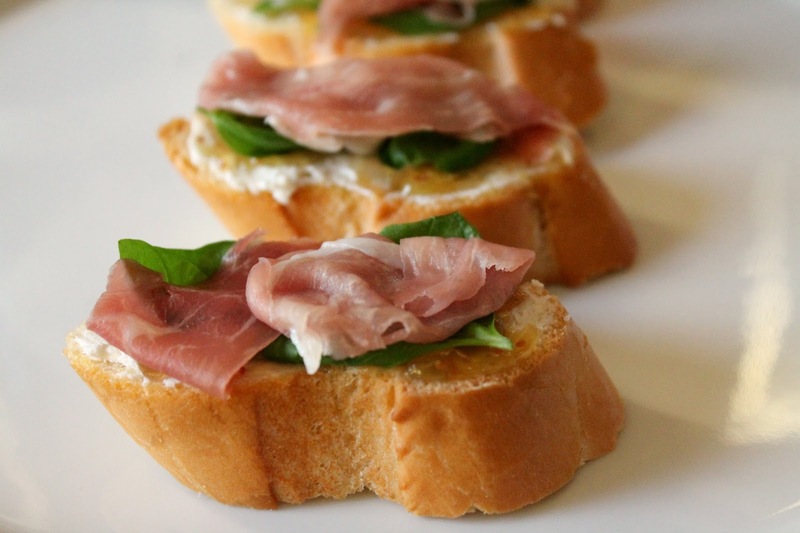 Simply layer each crostini with goat cheese, a small dollop of fig jam (I used Royal fig jam), fresh basil leaves, and a third of a slice of proscuitto. Enjoy! If you can't find already-made crostini at your store, buy a baguette, slice it into 2-inch thick slices, brush with olive oil and bake at 350° for about 8-10 minutes.